R.S. 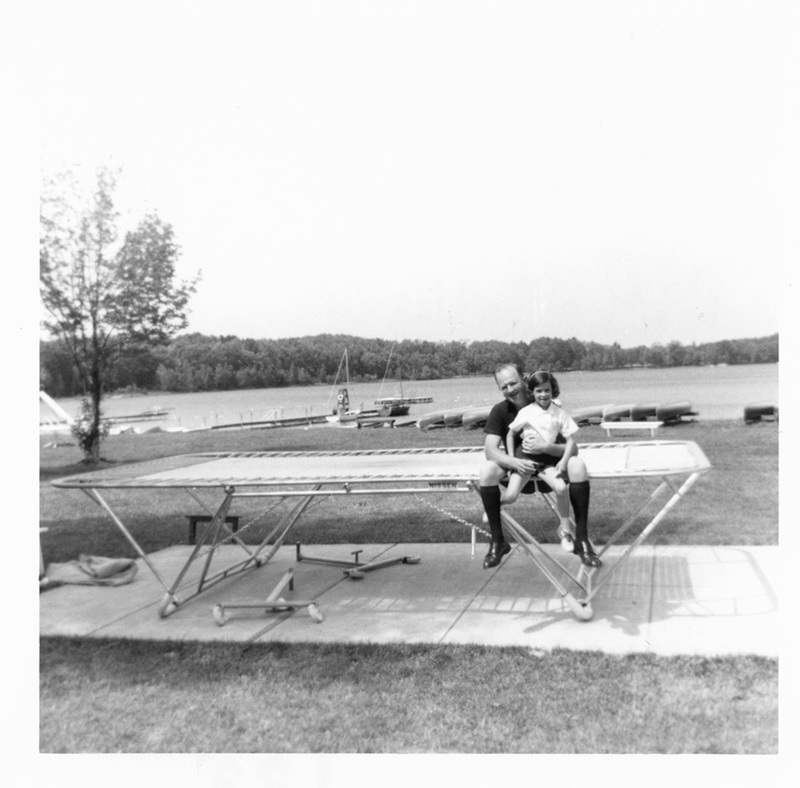 and Sally Mendelsohn sitting [on a trampoline?] in front of a body of water with kayaks on its shore, at Camp Marimeta in Eagle River, Wisconsin (where R.S. Mendelsohn was doctor from 1956-1967).